Item # 312771 Stash Points: 6,495 (?) This is the number of points you get in The Zumiez Stash for purchasing this item. Stash points are redeemable for exclusive rewards only available to Zumiez Stash members. To redeem your points check out the rewards catalog on thestash.zumiez.com. 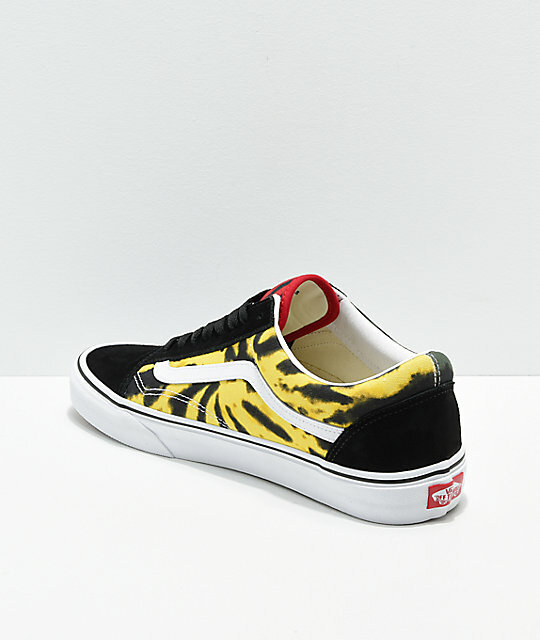 Give your classic skate-shoe collection a splash of additionally iconic style with the Vans Old Skool Rasta Tie Dye Skate Shoes. 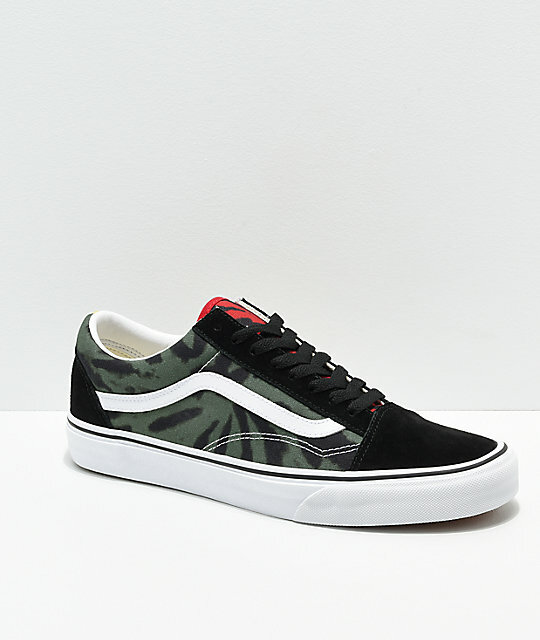 These tri-color tie die shoes provide some serious vibrance, while the contrasting all-black toe and heel offer a hint of clean simplicity. 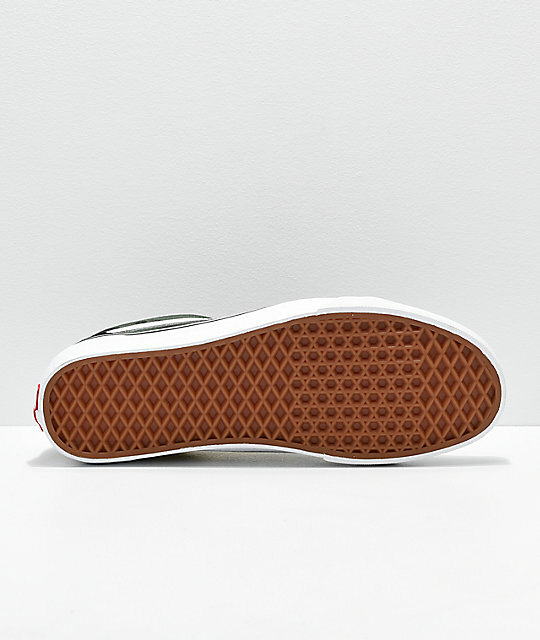 Finished with Vans classic vulcanized insole for skate performance and double stitching throughout, these kicks are ready for any adventure you throw their way. 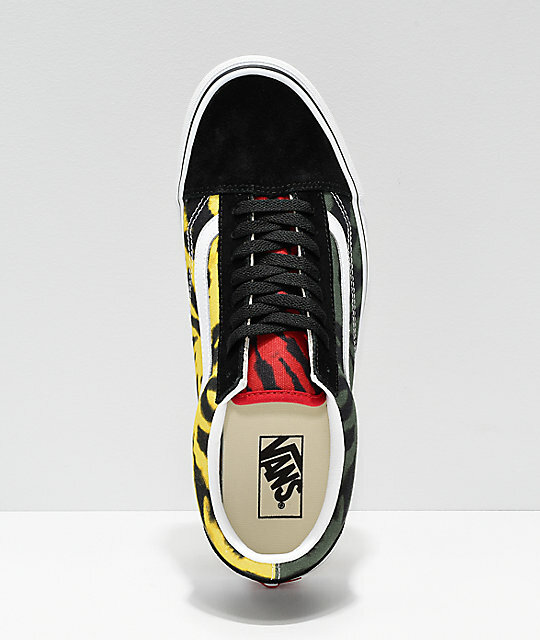 Old Skool Rasta Tie Dye Skate Shoes from Vans. Green, yellow and red tie dye pattern throughout sidewalls. Solid black suede toe and heel cap.